The Bangladesh Premier League (BPL) 2016-17 draft saw 85 players - including 23 overseas ones allocated across seven franchises - picked through a lottery system last Friday. The T20 tournament is set to begin on November 4 in Dhaka. After the franchises were allowed to retain two local players from the previous season, the two new franchises - Khulna Titans and Rajshahi Kings were given the chance to pick two each up front. While Khulna went for left-arm spinner Mosharraf Hossain and pacer Shafiul Islam, Rajshahi picked Nurul Hasan and allrounder Mehedi Hasan Miraz. Among the foreign players, Carlos Brathwaite, who will be unavailable between November 10 and 28, was bagged by Dhaka, while Darren Sammy went to Rajshahi. Chris Gayle moved from Barisal Bulls to Chittagong Vikings for this season, while Kumar Sangakkara extended his stay with the Dhaka Dynamites by another season. 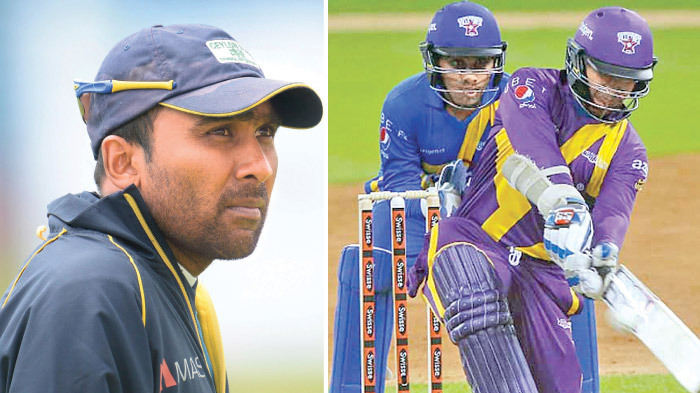 Sangakkara will be joined by fellow Sri Lankan, Mahela Jayawardene, who is part of the Dynamites' squad, that also boast of a number of all-rounders like Andre Russell, Dwayne Bravo, Ravi Bopara and Shakib al Hasan. Other Sri Lankan players who will appear in the BPL are Dilshan Munaweera (Barisal Bulls), Chaturanga de Silva and Jeevan Mendis (both Chittagong Vikings), Thisara Perera and Nuwan Kulasekara (both Comilla Victorians), Sachithra Senanayake and Gihan Rupasinghe (both Rangpur Riders), Milinda Siriwardana and Upul Tharanga (both Rajshahi Kings). While many Pakistan players joined various sides, Shahid Afridi moved to Rangpur Riders alongside Sharjeel Khan and Nasir Jamshed.